On March 14, 2019, this church was suddenly closed, indefinitely, to the public. The reasons for the closure have not been clarified. While the original church was founded in 1640 on Castelo Hill, this construction was started in 1700 and finished in 1737. 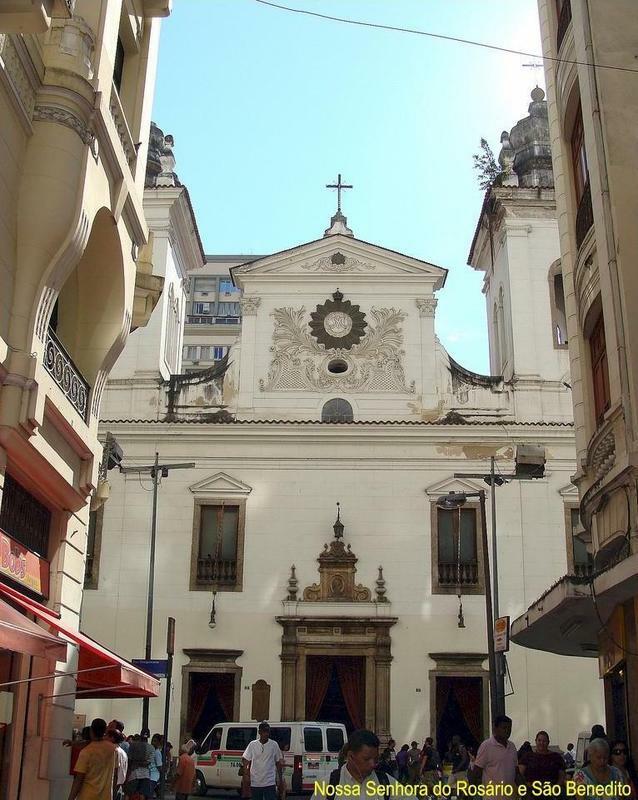 This church received the Portuguese Crown in 1808, housed the Rio de Janeiro city council from 1812-1825 and was the site of the first political protest in Brazil in 1822, all in addition to being the center of African and Afro-Brazilian religious, social and political life. The church houses The Black Museum (next stop on the tour), both of which were devastated by fire in 1967. The church still stands today, sparse, unadorned and in disrepair, open to the public. The Museum, with its remaining tiny collection is still housed there on the second floor. When you visit the church, it's important to buy some candles from the ladies who sell in front of the church. You may also notice traditional African religious offerings placed on the steps of the church in the Brazilian syncretic fashion. 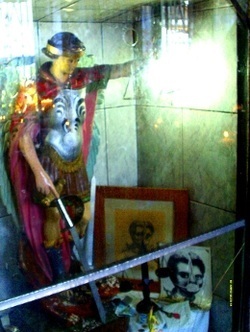 Several important Black Brazilians are connected to this church, including Mestre Valentim, Padre José Maurício Nunes Garcia and, though the Catholic authorities deny it, the people confirm that Saint Anastasia is also buried there. 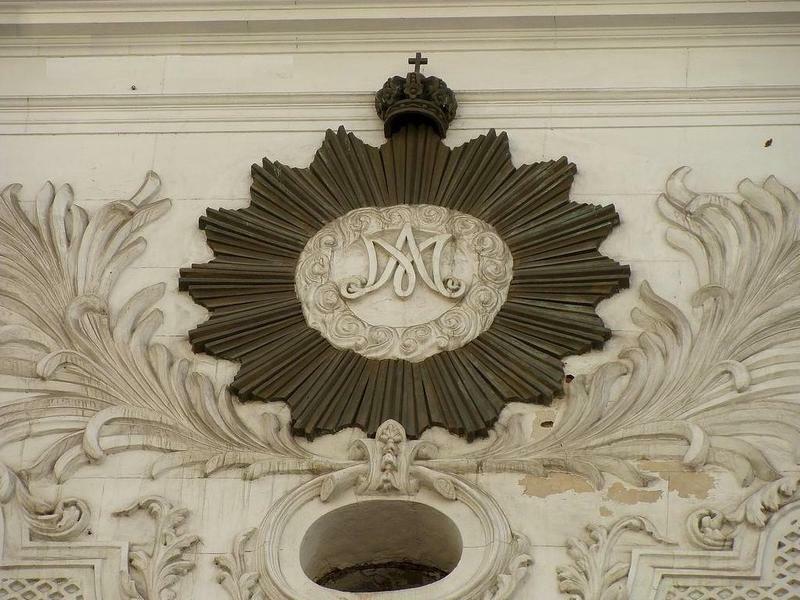 A Irmandade de Nossa Senhora do Rosário e São Benedito dos Homens Pretos, The Sisterhood of Our Lady of the Rosary and the Black Brotherhood of Saint Benedict, were the social service organizations of the church which gave shelter and material resources to the Africans and Blacks of Rio de Janeiro. These organizations was also the mask for what was known as The Black Senate. The Black Senate was an underground group of powerful free Black and African Men who organized and led the fight for abolition. Connected through a network that reached the farthest corners of Brazil, not that hard to do given that Rio was the main port through which all of the stolen wealth went to Europe, and that the wealth itself was being extracted by enslaved African laborers, the Senate consolidated Black political power with the help of the legendary Chico Rei. Chico Rei was from the Kingdom of Congo where he was captured, enslaved and, along with his son, brought to Brazil in 1740. Born Galanga, he was purchased and sent to a mining town in what is now the State of Minas Gerais (General Mines). Galanga was nicknamed Chico Rei (King) by his captors, though, little did they know that Chico was "stealing" gold in small bits and flakes, hiding it in his hair until he amassed enough money to buy freedom for himself and his son. He eventually acquired his own gold mine, and while today, Brazilians call him the "slave who owned slaves" as some sort of proof that slavery was not about race, what he did do was use that gold to fund the Black Senate, traveling monthly to the church in Rio de Janeiro with the gold hidden in his hair to be washed out in the baptismal fountain in a private religious ritual! Chico Rei ran one of Brazil's most productive gold mines because he wanted to buy the freedom of every enslaved African. Chico was called King by every person he liberated from brutal captivity. Exactly how Galanga "acquired" a gold mine is always glossed over in the accounts. One historian told me this rather odd story: After Chico Rei was free, he befriended a white owner of a gold mine that was in poor condition and not very profitable. Chico offered to manage the mine for his friend and quickly turned the enterprise around. When this white friend died, he left the mine to Chico in his will. I'll let you raise your own eyebrows, decode and fill in the blanks in that story. The fact is, other than that he existed, there is no documentation known to confirm or refute any aspect of the legend of Chico Rei. His story stands as oral history, a legend told to generation after generation, embellished along the way perhaps, but pure fiction? Not likely. In the 1960s, a restoration project started on the historical Black church in a small colonial mining town in the State of Minas Gerais. As the workers began to scrape the old paint off of the walls, they noticed something strange underneath. As they continued to remove the paint, they uncovered an old secret that shocked the nation. The walls of the church were gilded! It wasn't just the legend of Chico Rei, but clearly countless enslaved miners had "pilfered" bits of gold, delivered them to the church, where it was hidden on the walls and covered in paint. The sheer amount of gold found in this old church was a testament to how many Africans were involved in the resistance and also to how long this practice had gone on in secret in order to have gilded an entire church from bits and flakes. In what I call a horrible mix of revenge and treasure-hunting, historical Black churches were torched throughout the country. 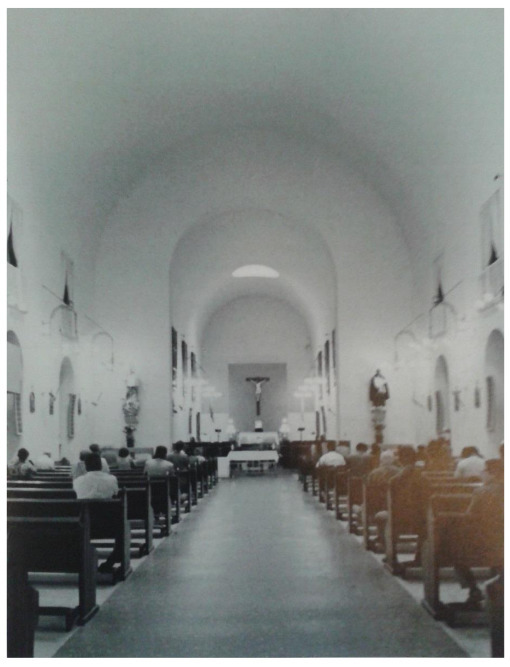 Our Lady of the Rosary and Saint Benedict burned to the ground in 1967. The foundation and the stone structure survived, but all of the decorative art was lost. While many of the artifacts from the Black Museum were lost, many records survived as they had already been archived at the historical society. The Catholic Church took this opportunity to excavate the burial grounds under the church and returned a definitive report that Saint Anastasia was utterly mythical, had never existed and was, indeed, not buried there. Her image was subsequently banned from the church and her cult went underground in 1968. Her image had been displayed in the candle offering room of the church, however, those images have recently (2018) also been banned. All surviving artifacts to her Sainthood are now located in the Black Museum. Her image can be seen all over Rio de Janeiro. 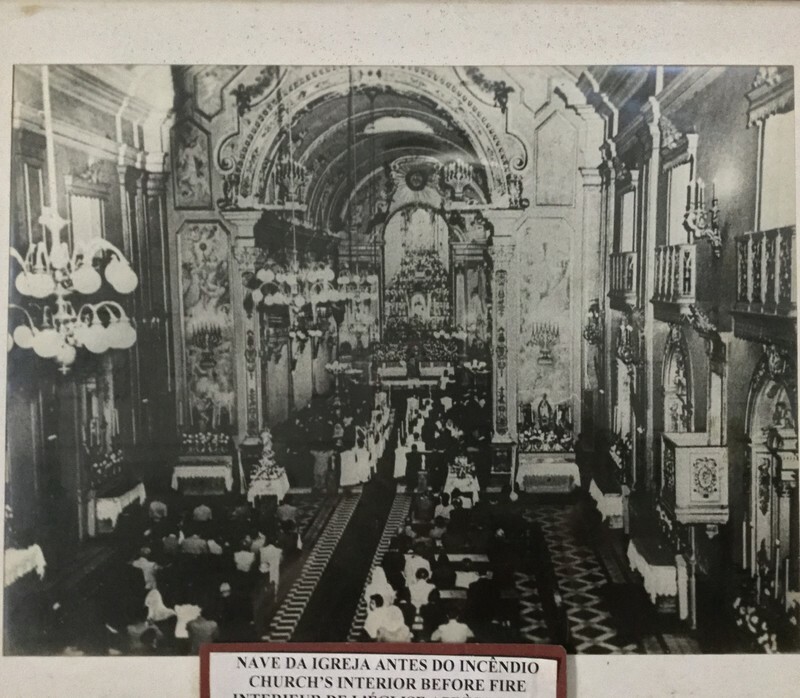 Sadakne Baroudi, “The Black Church,” Afro-Rio Walking Tour, accessed April 26, 2019, http://afroriowalkingtour.com/items/show/2.